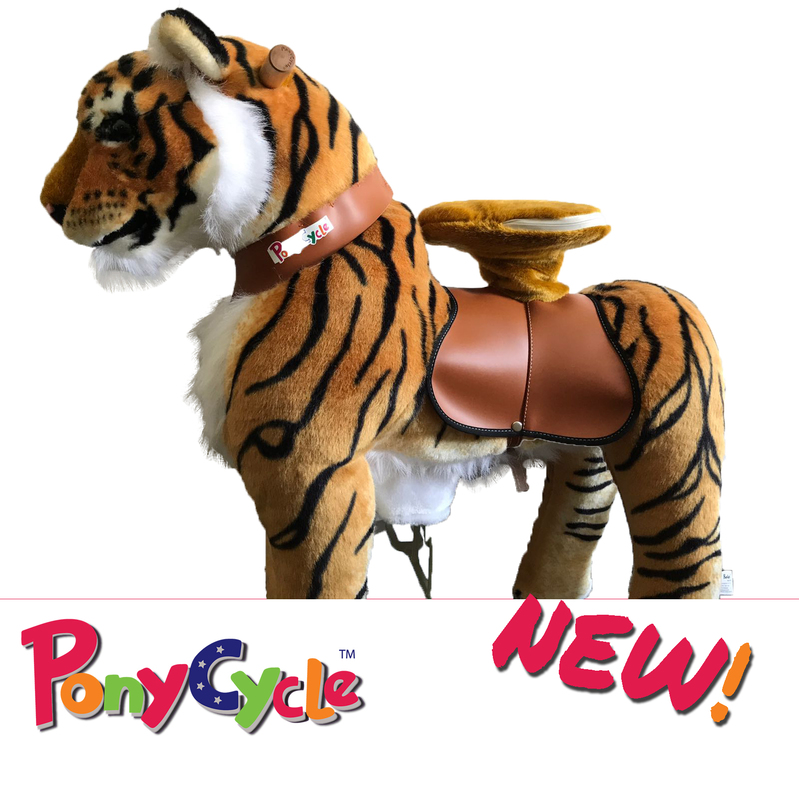 Order now and get your own PonyCycle! 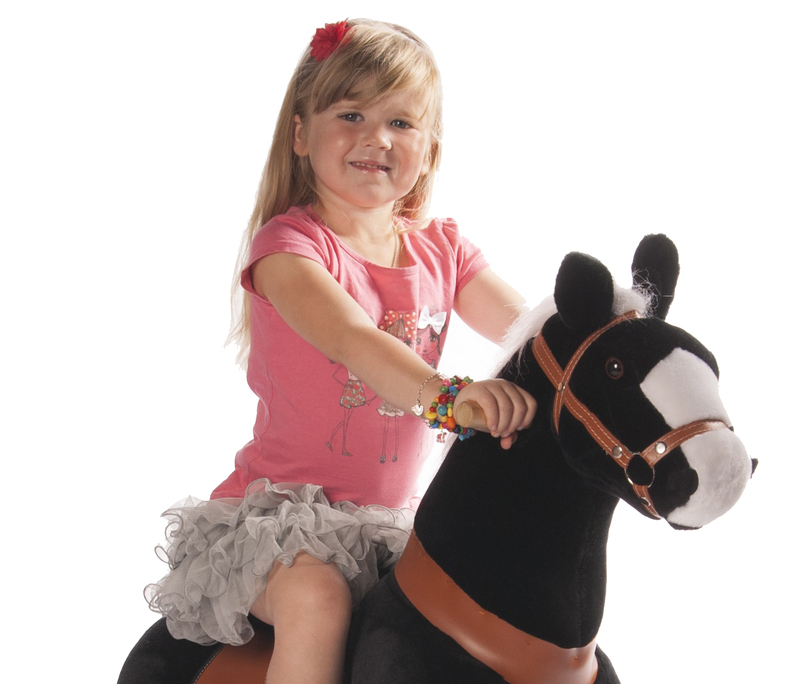 The ultimate riding horse for children. Official and professional Seller of brand new TradeMark PonyCycles. Over 15 different kind of PonyCycles in stock. All models in stock, delivery from our own warehouse. 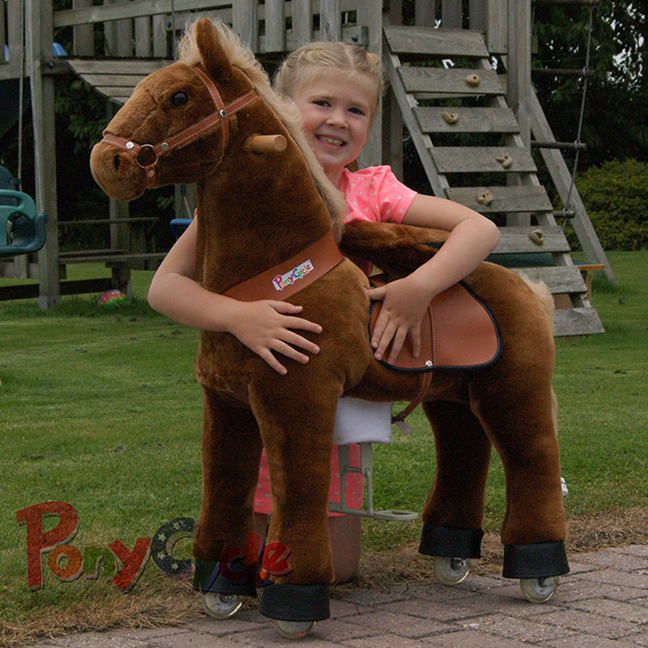 Seller since year 2013, official distributor of the PonyCycles. We want to have 100% satisfied customers and moreover happy children! 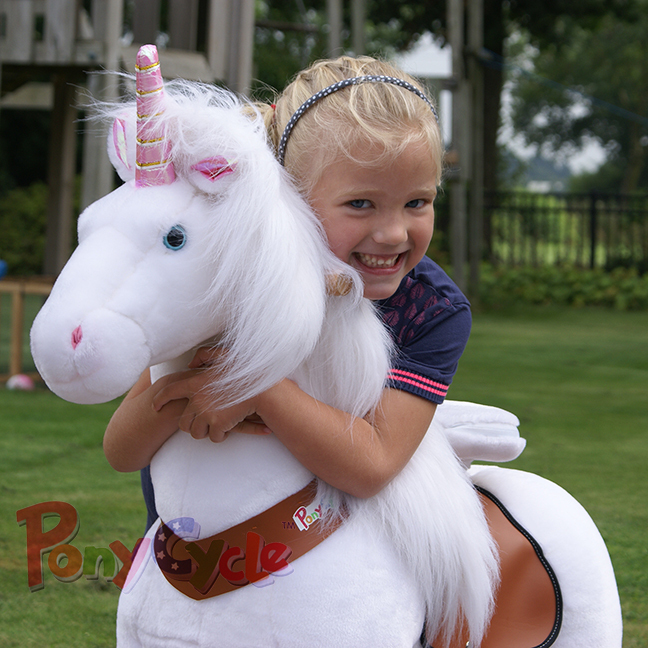 Once your child rides on a PonyCycle, they will love it for many years! How is the item shipped? The PonyCycles are in a full-color box. This box is boxed in a big brown box. The full-color box will be still new with no transportstickers on it, also nobody (including your child) will notice there is a PonyCycle inside the brown shippingbox. 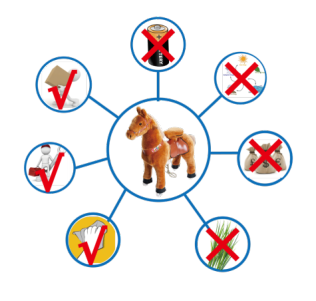 How do we assembly the PonyCycle? The PonyCycle comes in two parts in the box. With two screws and the supplied tool (all in the box), it is very easy to assemble. No batteries required for the movement! Gentle bounce up and down, just like riding a real horse. Turn the head of the PonyCycle to the left and right to steer. The turning angle is big enough, the rider will not flip over. For everybodies safety, the PonyCycle will not move backward. Avoid other kids pulling the PonyCycle over. My PonyCycle is not moving forward anymore. Is it broken? Every wheel has a break, these breaks must be pointed downwards. If they're standing up (it is nog easy to do, but sometimes children change the direction of the breaks), the PonyCycle will not move forward. Please check all 4 breaks by the wheels. 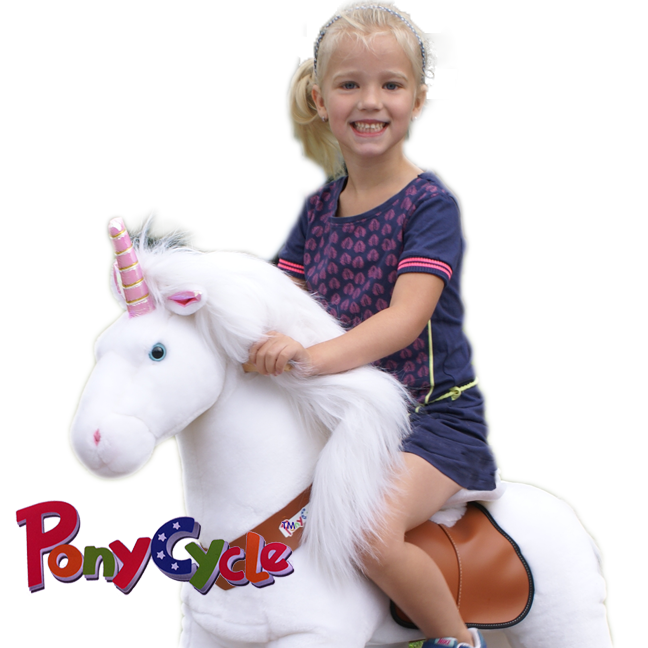 The PonyCycle is a TradeMark, we only sell the official PonyCycles, no fake ones! 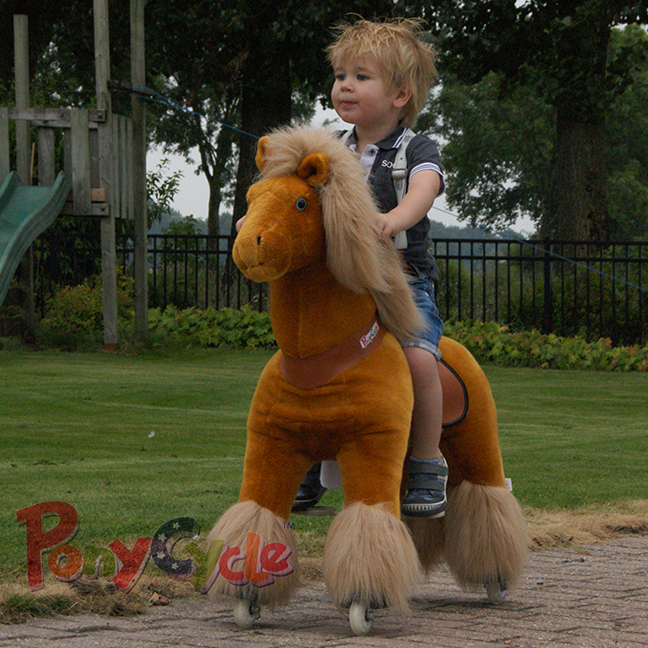 With the PonyCycle you will be sure you have a high quality product, very safe for children to ride on. The PonyCycle has the EN-71 mark and patent. PonyCycle comes in two diffefent sizes to ride on; the small PonyCycles (for children from age 1,5 - 4 years old) and the medium one (for children age from 4 - 9 years old). The adult edition is only for the rental business and not for sale. The adult edition is also too heavy and rigid for riding in a livingroom. Please notice: the box is smaller than the PonyCycle, you still have to assembly the item. Please check the assembly instruction or check the instruction manuel inside the box. The PonyCycle comes in two parts in the box. With two screws and the supplied tool (all in the box), it is very easy to assembly. Please check the image in this page and read the manuel instruction inside the box. 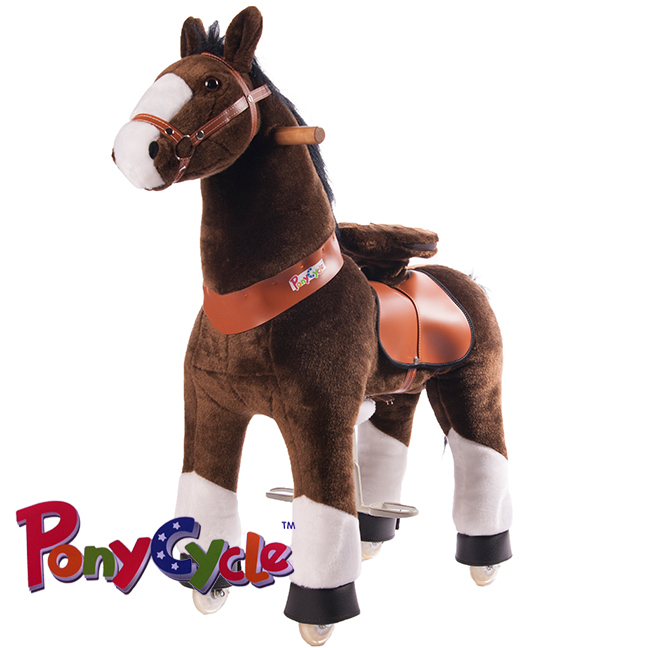 - The PonyCycle is made of a very high and good quality. 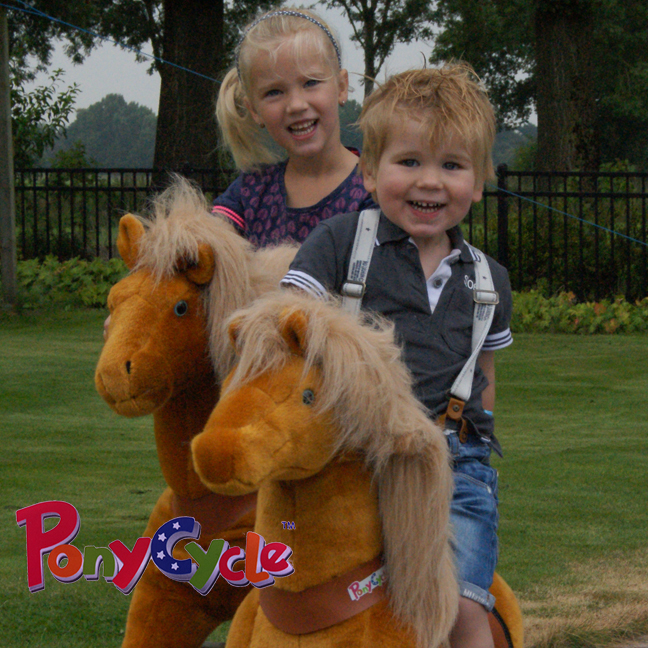 When you buy a PonyCycle, you'll be sure your children can ride it for many years. 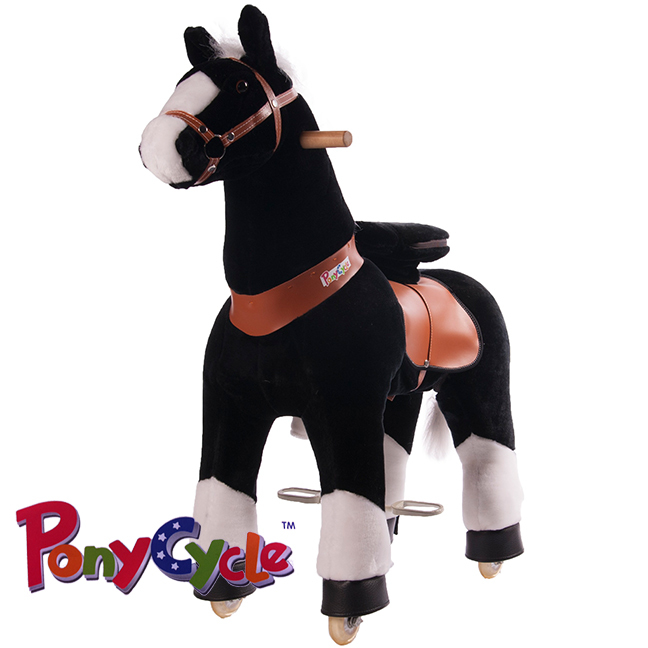 - By riding the PonyCycle, coordination and balance of the rider improves. - Your children have a good active play and are getting a perfect condition! Riding on a PonyCycle is feeling like riding on a real horse. You can ride the horse inside, or outside on a flat even floor. You don't have to feed the PonyCycle, it's easy to maintain, no batteries needed for the movement and the PonyCycle doesn't smell or snore. Your child will take care of it like a real horse! Click arrows to view more! Copyright 2017, PonyCycle NL. All rights reserved.